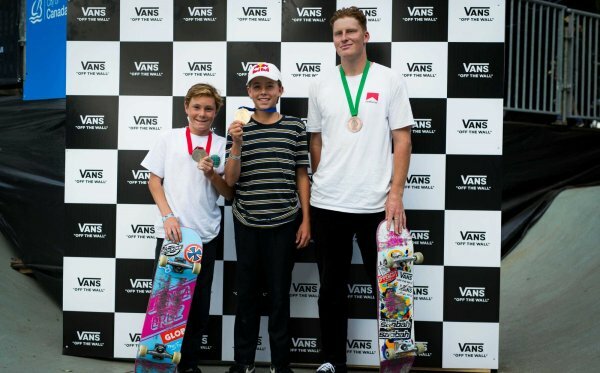 The action at the Vans Pro Park was at an all-time high as 20 of the world’s best park terrain skateboarders battled it out in the final global qualifier of the 2017 Vans Park Series Men’s Pro Tour. With an explosive performance in the finals, Tom Schaar surpasses the field, soaring through the Huntington Beach qualifier with massive heights and incredible speed to take the glory. Schaar celebrates his second podium win of the season after taking Australia back in March, and confirms his position as the number one skater in the 2017 VPS Challenger rankings. Schaar is joined by Ben Hatchell, 2nd, and CJ Collins, 3rd. With only seven coveted invites for the taking, today’s results have also decided the final Men’s lineup for the 2017 Vans Park Series World Championships in Shanghai, China on September 23. The top seven highest-ranking tour challengers to advance will join the VPS Select Pros and VPS Continental Champions for one final showdown to determine a new park terrain skateboarding World Champion.